Three different head moulds, three different versions of our girl. My Disney on Ice girl is a bit rough around the edges, but I loooove her. Okay, I think they all have their own charm. Incidentally – I tried to pop blonde Rapunzel’s head back on her own body, and a Liv body, but the torso just looks so huge in comparison to the Pullip type 4, which I think is pretty much bang on for Rapunzel as she is in the movie. 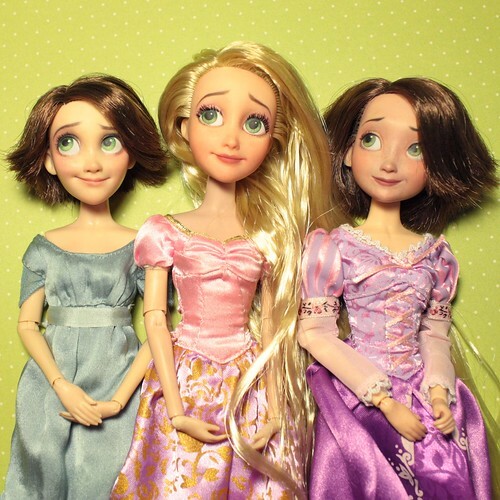 Blonde Rapunzel had to be put on my Pullip dressmaking dummy body as a result. Gog (United Artists, 1954). Lobby Card (11″ X 14″).